Fewer than three months removed from his third consecutive NEC Outdoor MVP award, Brendon Rodney was wearing his LIU uniform one lane over from Usain Bolt. The two were warming up for the Olympic Games later this summer in Rio. 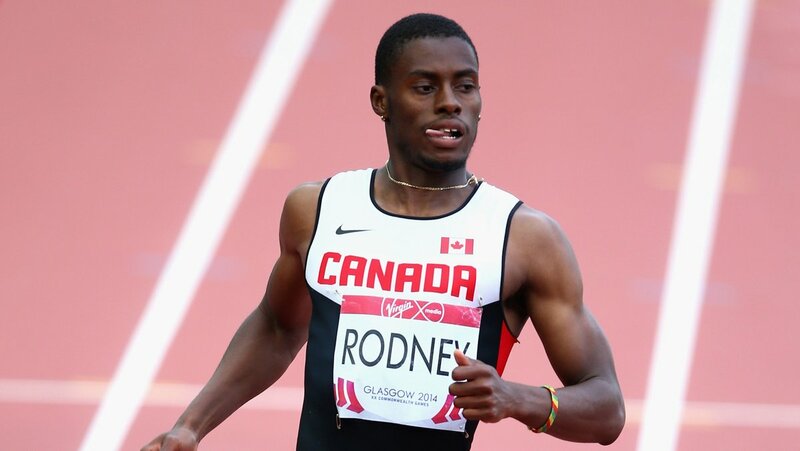 After running sub-20 to win the Canadian 200m title, Rodney competed against eight other world-class sprinters at the IAAF Diamond League Muller Anniversary Games in London. Bolt won the race in 19.89 with Rodney finishing in sixth. The MetLife Stadium operations team was in full concert mode with Guns N Roses shows slated for the weekend. 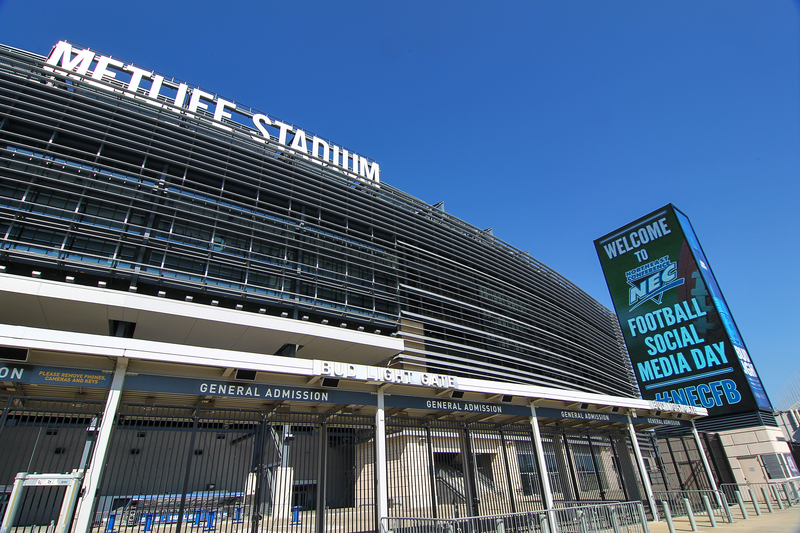 But football was still in the air at the Home of the New York Giants and New York Jets. 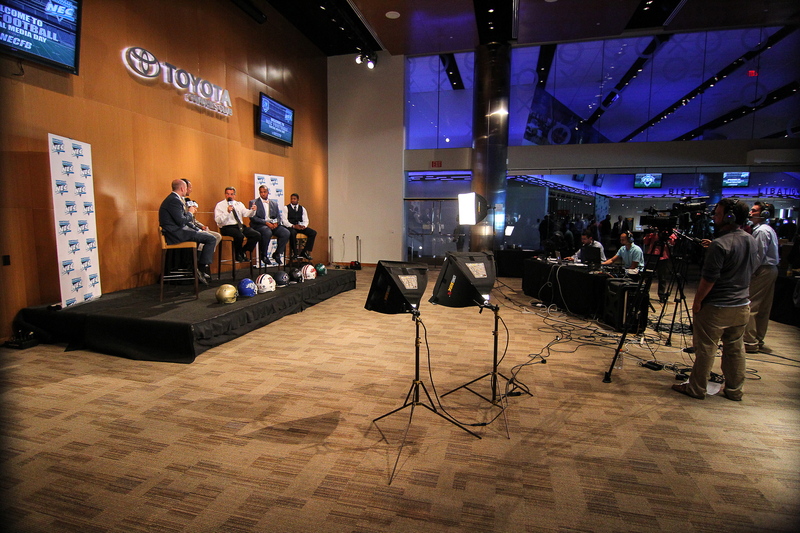 Hinting that another season is on the horizon, the Northeast Conference hosted its second annual #NECFB Social Media Day in the field-level Coaches Club at MetLife. The Division I FCS conference welcomed current coaches and players along with selected alumni to the Garden State for a preseason pigskin celebration. 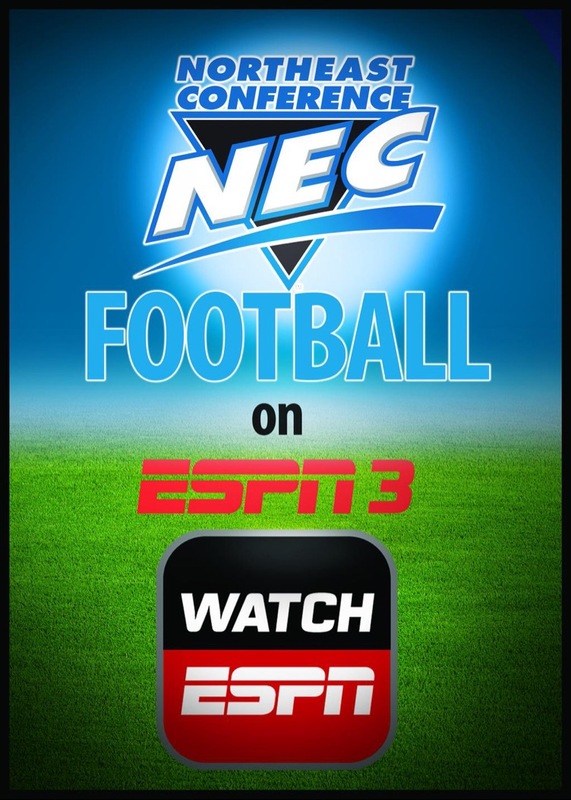 In addition to a sponsor summit and VIP Luncheon, the NEC produced a live season preview program that was carried by ESPN3 and unveiled the results to the preseason coaches’ poll. Seven weeks, eight games and every team featured at least twice. There’s your one-sentence description of the NEC’s agreement with ESPN, which makes ESPN3 the exclusive carrier of eight enticing gridiron match-ups for the third consecutive season. Longtime NFL reporter, and current member of the New York Giants Radio Network, Paul Dottino returns to handle the play-by-play duties for his 14th season of NEC Football. For the second year in a row, two-time Super Bowl champion Kevin Gilbride will provide color commentary. John Schmeelk will roam the sidelines. The following athletes will represent their teams during the second annual #NECFB Social Media Day event at MetLife Stadium. The preseason festivities kick off at 11:00 am ET on July 21 and can be seen live via NEC Front Row and ESPN3. 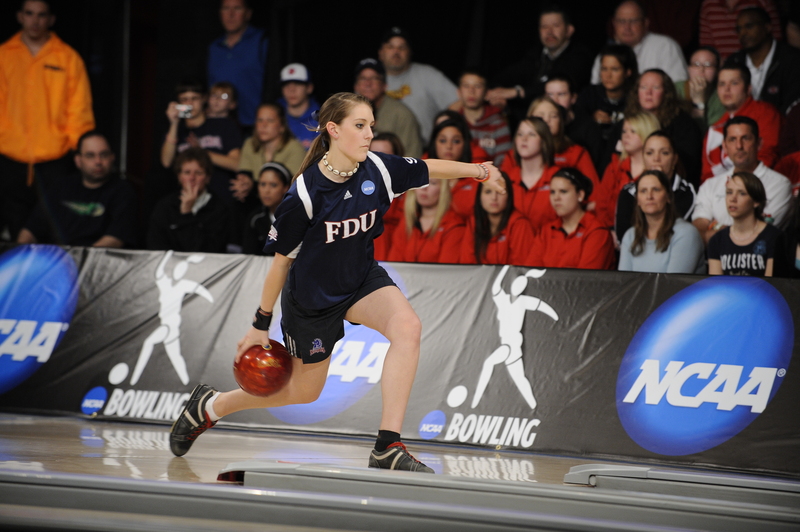 Danielle McEwan competes at the NCAA Bowling Championships at Carolier Lanes in North Brunswick, NJ on April 10, 2010. Danielle McEwan, Karvel Anderson and Brad Brach are all former Northeast Conference student-athletes who are still competing in their respective sports (and making a living while doing so). McEwan (bowling), Anderson (basketball) and Brach (baseball) are all professional athletes, and, it appears that all three are enjoying a summer to remember.